Reentry Services for Returning Citizens is a multi-faceted program that supports people released from prison as they transition back into the community. In the spirit of Restorative Justice we accept our Christian responsibility and proclaim we are our brothers’ keepers by helping people successfully reenter society. A disturbing number of offenders return to prison after their release, with 48% of the adult inmates returning within three years. Our Reentry Services for Returning Citizens needs your financial support and your support as a volunteer for OBK Reentry and Prison Ministry Programs in the Belleville Diocese. Our Brothers’ Keepers of Southern Illinois is a Christian faith-based organization that is dedicated to the full integration of formerly incarcerated persons, “returning citizens”, into the St. Clair County, Illinois, community. Our Brothers’ Keepers of Southern Illinois has partnered with Lutheran Social Services of Illinois to create Cooperative Reentry Services for Returning Citizens. Together we are approaching reentry to society with a holistic approach. Remembering Father Christian Reuter, O.F.M. 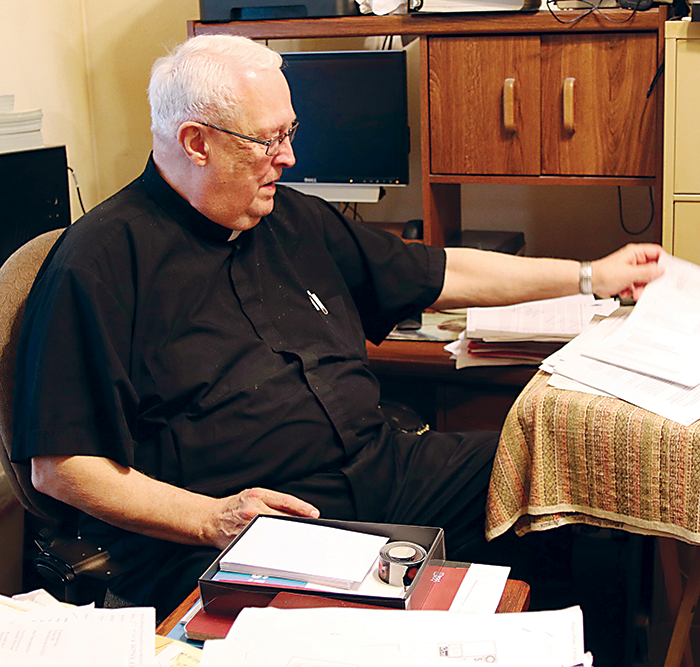 Father Christian Reuter, OFM, is being remembered for his early work in the Civil Rights Movement and his admirable work with inmates in southern Illinois prisons and with ex-offenders. Father Reuter died June 30, 2018, following complications from back surgery. He was 79. Keep up-to-date on all the news we generate at Our Brothers’ Keepers of Southern Illinois. You can find articles on what’s new in the world of OBK, criminal justice, and our prison ministry. Contact us or Join our Mailing List and to keep up to date with all the important news and other information surrounding Our Brothers’ Keepers Ministry. We look forward to hearing from you. Be a part of our non-for-profit 501(c)(3) mission by contributing your God-given resources toward making a difference in the lives of our brothers.